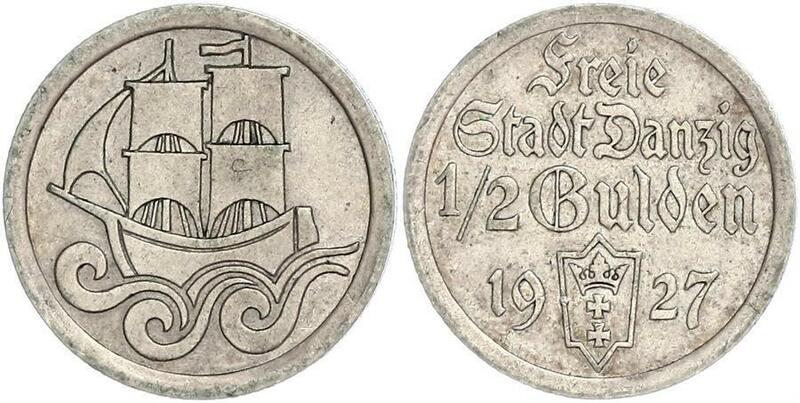 1927, Danzig (Free City). 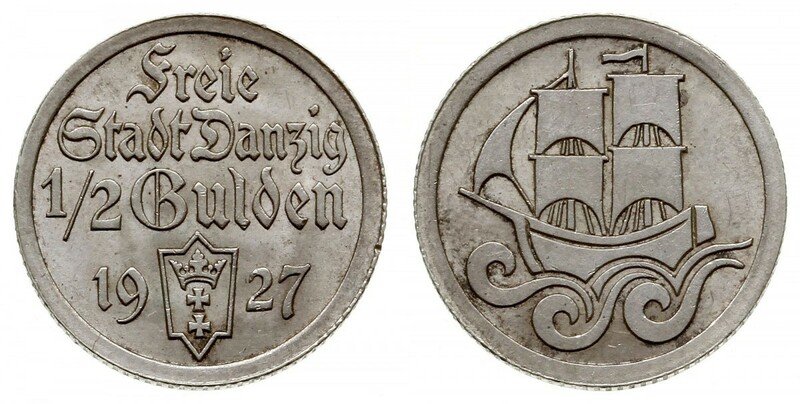 Scarce Silver ½ Gulden Coin. 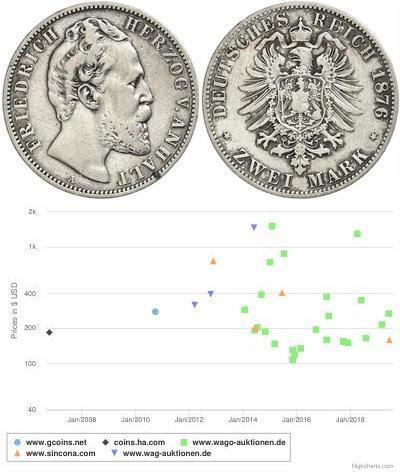 Key-Date! 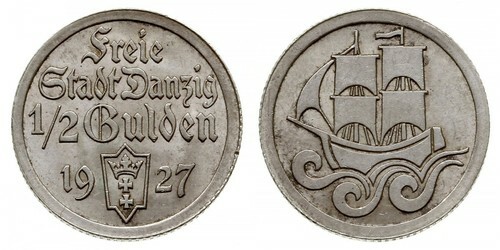 Obverse: Stylized sailship at sea. 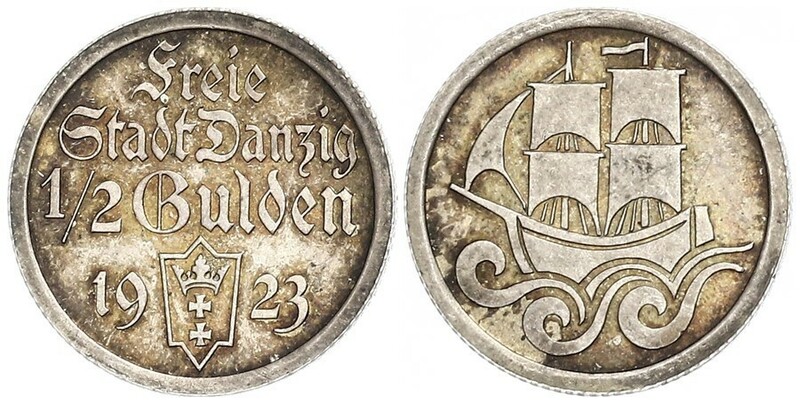 Reverse: Legend in three lines including denomination (½ Gulden) above date (19-23), split by arms of the Free City of Danzig. 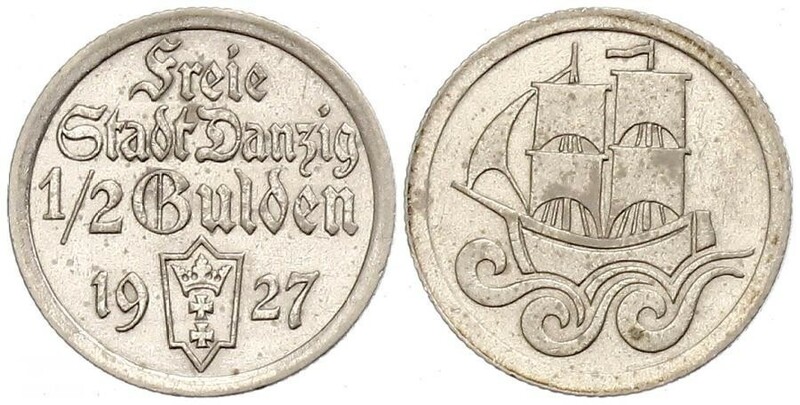 The Free City of Danzig (German: Freie Stadt Danzig; Polish: Wolne Miasto Gdansk) was a semi-autonomous city-state that existed between 1920 and 1939, consisting of the Baltic Sea port of Danzig (today Gdansk) and surrounding areas. The Free City was created on 10 January 1920 in accordance with the terms of Part III, Section XI of the Treaty of Versailles of 1919 without a plebiscite. The Free City included the city of Danzig and over two hundred nearby towns, villages, and settlements. As the League of Nations decreed, the region was to remain separated from the nation of Germany, as well as the newly-resurrected nation of Poland. The Free City was not autonomous; it was under League of Nations “protection” and put into a binding customs union with Poland. Poland also had other, special utilization rights towards the city. 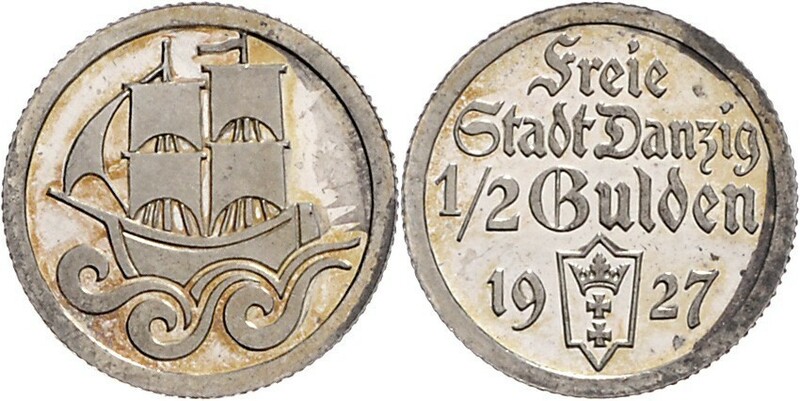 The Free City was created in order to give Poland sufficient access to the sea, while at the same recognizing that its population was mainly German. In 1933 the City’s government was taken over by the local Nazi Party, the democratic opposition was suppressed and widespread anti-Semitic and anti-Polish discrimination and organized murder followed the German invasion of Poland in 1939, when the Free City was abolished and incorporated into the newly-formed Reichsgau of Danzig-West Prussia. 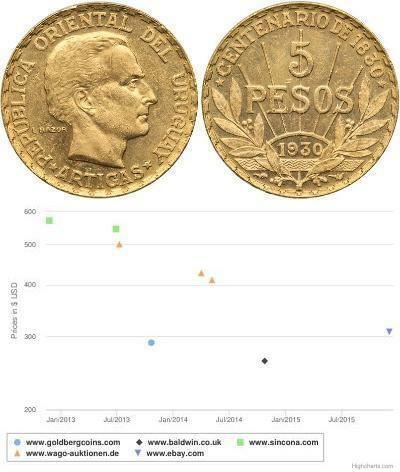 This occurred without the approval of Poland or the League of Nations. Then, starting with the city’s conquest by the Soviet Army in the early months of 1945, ethnic German citizens of the former Free City of Danzig were either expelled or killed, and the city was put under Polish administration by the Allied Potsdam Agreement, and Polish settlers were brought in to replace the native German population.